I’m curious about this one despite the mixed reviews. I quite like Marc Forster’s previous film, the grossly-overlooked Machine Gun Preacher, so I’ll give this a shot. I’m not generally a zombie genre fan though, so we’ll see if I dig this one. Eh. It was an okay movie that had it’s thrilling moments, but felt almost too tame and watered-down. Nice review Eric. Yeah, that’s pretty much how I felt, too. Thanks, Dan. 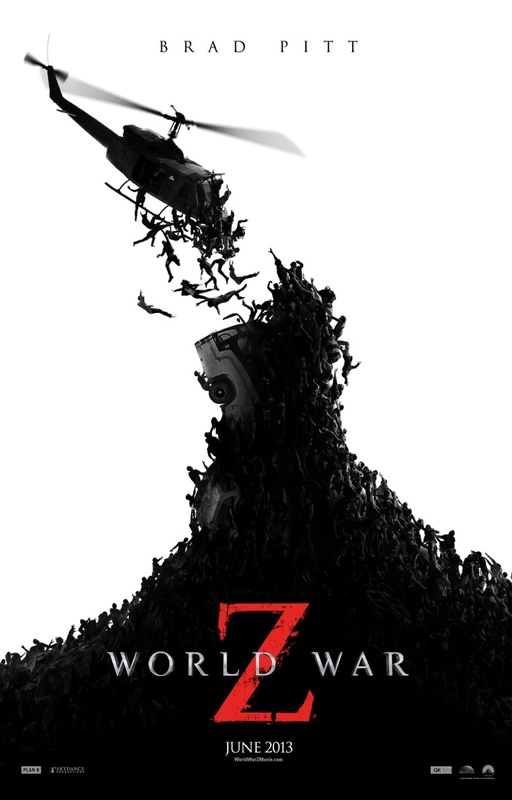 I have heard mixed reviews about World War Z, which did put me off going to see it initially. I did go to see it eventually and it was a lot better than I expected it to be. Its not a perfect Zombie film, its very generic, but it still had a few exciting moments. Glad to hear you enjoyed it. This was better than I expected, too, especially considering the numerous problems during production. 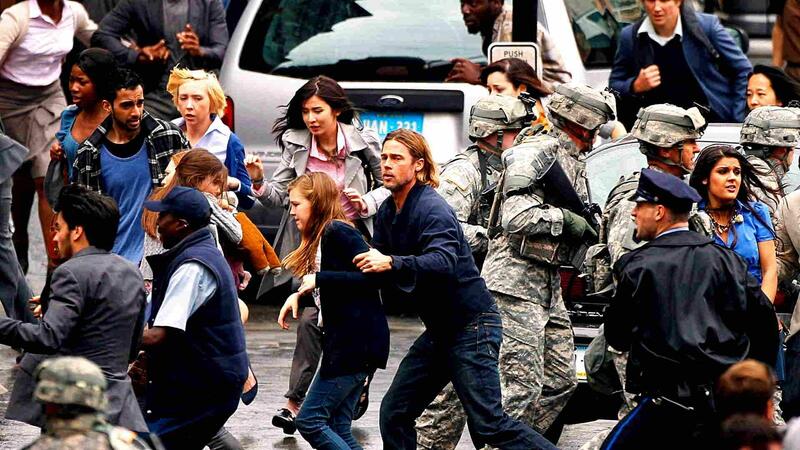 Yes, for all the problems they encountered during the long production of World War Z, the film turned out ok. This movie was pretty lackluster, I’ve already forgotten most of it. Haha, am I really that predictable? 😉 Yep, this one is lackluster alright. Not something I’ll be thinking about at the end of the year. Been seeing a lot of middling reviews for this, which really didn’t surprise me much. I’m starting to think the shine has worn off on the zombie genre once again; that maybe it’s time for Hollywood to step back for a while. What do you think? Yeah, I completely agree. I’m all “zombied out” in all forms of media. There are just so many zombie films, books, games, etc. that it takes something truly special to stand out anymore. 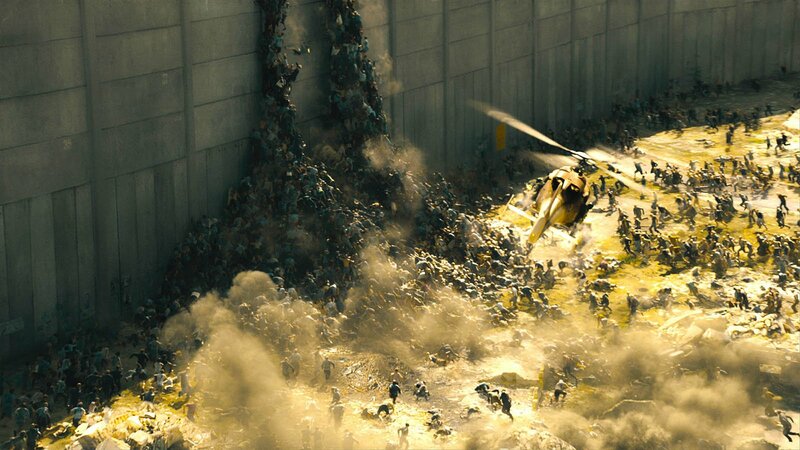 Sadly, World War Z does not do that. Like the book version, I will probably skip this. Would rather watch Pacific Rim if I am going to spend the money to see. That is just my preference. BTW. Got to see the Evil Dead remake. To me it was MEH! It was like they took parts of the two movies, but left out what made it “Evil Dead”. Could’ve done with a different name rather than being called Evil Dead. Thanks. I’ve heard the film deviates quite a bit from the book, and not for the better. Bummer to hear that you didn’t like Evil Dead. Having that name attached to the film is a bit of a burden, but I think it works well on its own. I can definitely understand why a lot of people didn’t care for it though. I think if it would’ve been called something like “Possession to Kill Hipsters” I would have been more positive about it. Pretty interesting review, but it seems like your evaluation follows through with the majority of opinions that I’ve received on this film. I’ll probably have to pass this one up since it doesn’t have any gems in its plot, because honestly–a typical action-packed zombie movie isn’t anything that I need to view in my spare time. Other than Brad Pitt, would I be making a mistake? Hi, thanks for the comment! Honestly, you’re not missing much by skipping this. The film doesn’t bring anything new to the table, and there is little in the way of a strong plot or character development. It’s a solid action ride, but that’s about it. I was bummed that the zombie cat I saw in that promo poster floating around the interwebs was not in the film. For all its flaws this was a fairly entertaining thriller. It just was not much of a zombie film. When you have a film go through several rewrites and multiple edits, it’s bound to be fraught with problems. It’s kind of impressive that it has been getting decent enough reviews, as it definitely feels like it could have turned out a lot worse. I’m still a little surprised Pitt decided to do this, since he hasn’t since Mr. and Mrs. Smith, and these types of films seemed to be behind him. I think he’s one of those actors that has improved with age and experience. He’s a lot more capable and layered than he was at the beginning of his career. Too bad I can’t say the same about Angelina Jolie, whose best work came mostly in her first few years of notoriety. I agree that Pitt has only gotten better with age. I honestly had no expectations for this film either, but it’s mostly through his sheer will that this is entertaining at all. It’s hardly anything groundbreaking — in fact, it’s mostly forgettable — but it’s still a serviceable summer thriller.